You are currently browsing the tag archive for the ‘livable cities’ tag. 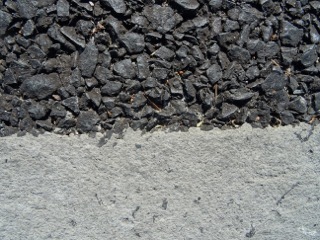 Ascrete road surface in Cecilia Street Marrickville. 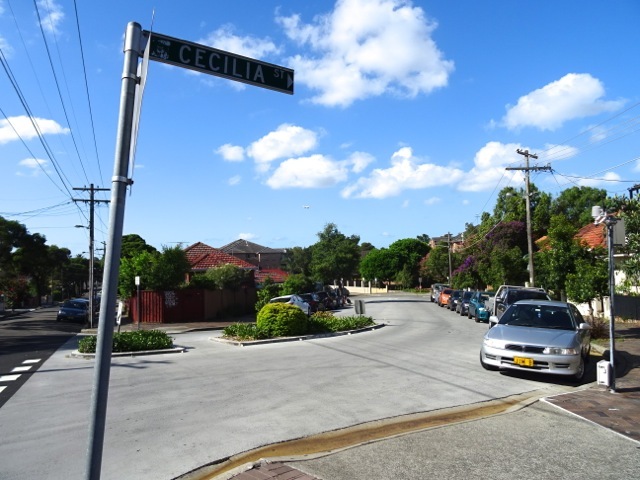 Something interesting is happening in Cecilia Street Marrickville, a short street off Petersham Road directly opposite the Marrickville Town Hall. 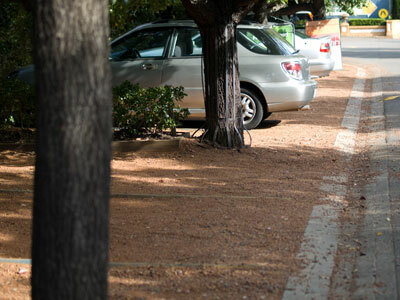 Marrickville Council has covered the road surface with ‘Ascrete,’ a solar reflecting road surface with the aim to reduce the urban heat island effect in this street. 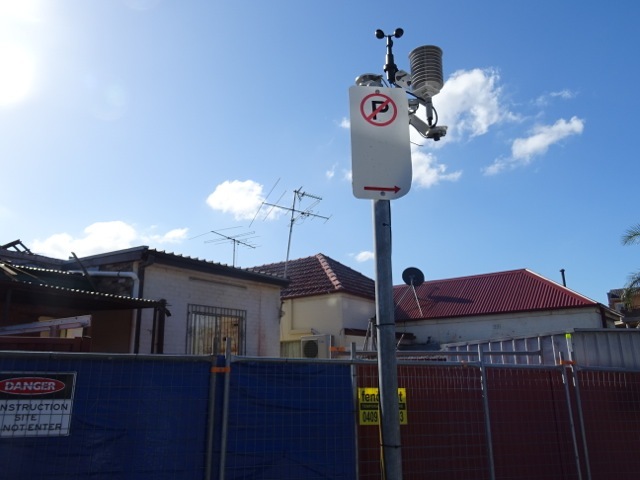 Monash University, working through Marrickville Council’s ‘Water Sensitive Cities’ partnership, took temperature measurements over one-week in January 2016. The City Of Sydney & Canada Bay Council are also trialing the product. Climate stations were still attached to poles on both sides of the road when I last went a couple of weeks ago. As a road surface it looks good. If the product is deemed effective, it will be a positive approach to combating the urban heat island effect. We have so many hard surfaces in Marrickville municipality, with much of them being roads. It is well known that dark surfaces & asphalt roads collect & retain heat. Any surface that reflects heat & does not retain it will help keep our environment cooler & livable. 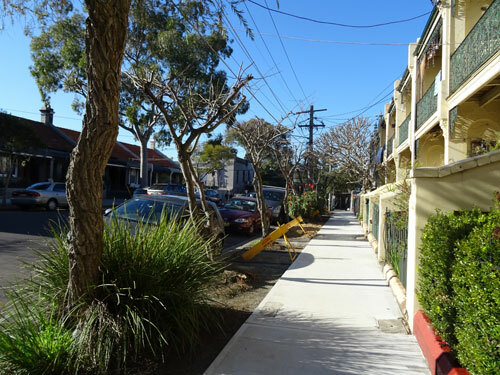 In 2015 Marrickville Council created new verge gardens on both sides of Dickson Street Newtown. They were planted on a community planting day. It looks great, even though this photo was taken before the plants went into the ground. Verge gardens are becoming really popular in many places around the world because they not only have the potential to add significant beauty to the streetscape, but they help lower the urban heat island effect. Climate change is causing local councils & planners to have a concerted look on how to adapt to the changes climate change will bring & how to keep cities livable. Heat events are of serious concern because they can result in hundreds of deaths. Cities (this includes the suburbs in a city) can be hot places because of the volume of hard surfaces that literally absorb heat from sunlight & trap it within the hard surfaces keeping it there overnight. 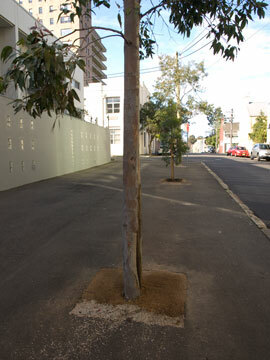 Thankfully Marrickville Council is promoting verge gardens. They actively encourage the community to take charge of their own, as well as creating new verge gardens everywhere where they need to replace the concrete footpath. This is excellent & already the changes in some streetscapes around the municipality are showing the positive impact on Council’s initiative. City of Sydney Council has embraced verge gardens with fervour. An increasing number of street corners have been reclaimed from the road & given over to verge gardens. Reclaiming the road slows traffic, assists pedestrians & allows the beautification of the streetscape. Depaving hard surfaces is a major part of lowering the heat island effect across the municipality. So I was surprised & disappointed when I read of the destruction of a verge garden by the Town of Cambridge Council in Western Australia. The verge garden is large at 250-square-metres & is in the suburb of Wembley, about 5kms from Perth CBD. The couple had created an eco-friendly verge garden on a corner over a period of 13-years following the Council’s guidelines. According to the article, their neighbour complained to the council about this verge garden on many occasions. The verge garden contained “more than 3000 plants & represented more than $50,000 in labour and materials costs.” This is quite substantial. This is the second time the Town of Cambridge Council has destroyed this particular verge garden. Three years ago they destroyed $12,000 worth of irrigation on the verge. The photo in the article shows a bare patch of land left behind. Even when you see the photos it is hard to believe that any local council would do this. 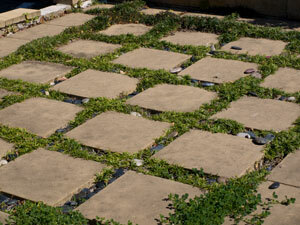 The article says the verge was water-wise & maintained on a weekly basis by a professional gardener. The verge garden was appreciated by passersby & the local community – until a new neighbour moved in. Personally, I think this was an outrageous act of the council to destroy this verge garden. If there actually were any components that were dangerous to the public, then the residents should have been given official notification to remove these hazards within a specific time-frame. That would have been the reasonable response. What was not reasonable was for the council to destroy the garden leaving a patch of bare dirt behind. It must have been devastating for the residents & also would have sent a loud message out to the rest of the Wembley municipality not to bother creating verge gardens when the council responds like this. Understandably the residents whose verge garden it was will not be trying again. The dustbowl created by the council will remain. I guarantee Perth will be pushing for verge gardens to become the norm as climate change accelerates. 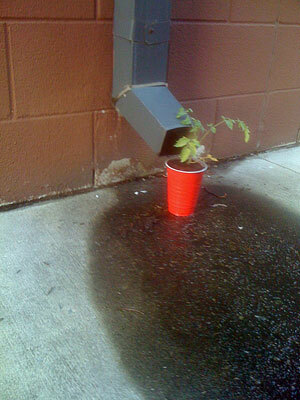 They are already experiencing problems with heat & water. That this post has had nearly 2,000 likes & 275 shares at the time of writing shows how keen the community are about verge gardens. This is a vastly different attitude & Mayor Carey should be applauded for his enthusiasm & support of verge gardens. Kudos also to the City of Vincent’s method of encouraging & supporting the community to start verge gardens. This kind of initiative is what changes the culture from one that is anti-nature to one that embraces a greener environment that benefits all. Verge gardens make our streets cooler, add beauty when there was often none before. They bring in wildlife & birdsong & create places where people like to meet. They also provide soft learning opportunities for local schools. Verge gardens are a no-brainer. Hopefully the program of creating more verge gardens carries on if Marrickville Council does have to amalgamate with Ashfield & Leichhardt Councils. 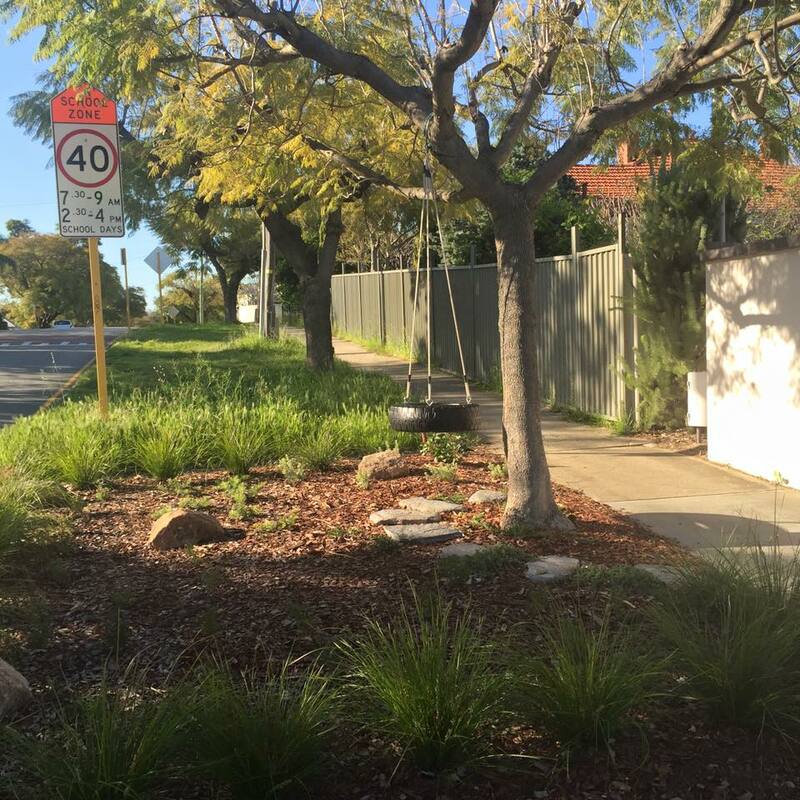 Photo of a verge garden by Mayor John Carey City of Vincent Council, Perth Western Australia. Used with thanks. Yesterday the ABC published a great article called – Concrete Jungle. In it there was some very interesting information about green walls & green roofs in Sydney. There are already 75 green roofs in the City of Sydney LGA. The City of Sydney Council receives at least one DA for a green roof every week. They want to increase green roof coverage to 23.5% by 2030. The article includes two short videos that are worth watching. The first is about the green roofs & the benefits that these spaces bring to the people in the city. 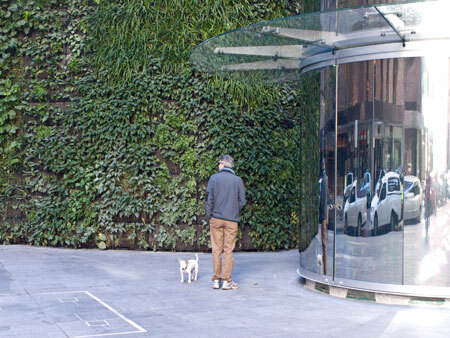 The second video speaks about the green walls & microclimates of the green walls in the One Central Park Broadway development currently being constructed. One of the central walls on the south side of this development is the biggest green wall constructed to date at 14-storeys tall & 4-metres wide. The buildings also have 5-kilometres of balcony gardens. Apart from the beauty of the green walls in the One Central Park development, where every façade – 1,000 square metres – will become ‘a veil of green,’ it is the cantilever terrace that projects out into the air that most fascinates me. This space will have a small pool, flowering trees & a private garden where residents of the top 5 floors can go to relax & take in the panoramic views. Talk about a selling point. Extensive green roof (3-7 inches of soil) – No, however the roof will need to be watered occasionally during the first year of establishment just like any landscape. But after the first year the plants can sustain themselves, with the only watering exceptions in extreme periods of drought. This DA decision for ‘The Revolution’ was at the tail-end of the period of currency of the old Marrickville Local Environment Plan (LEP) & the Development Control Plan 2010 (DCP). Many in the community hoped that green roofs & walls, decent green space & decent sized trees in the development would be a requirement for high-rise development in the next LEP & DCP as these were to take us through the next 25-years. It failed to eventuate. The next time I saw a plan for a green roof was for the new Marrickville Library. That plan consisted of covering the roof with long straw-like grass & using the same long grass for the land out front of the Library, which many in the community had hoped would become a new small park. This space was not usable for the public, so it wasn’t a surprise that this particular design was not chosen. So City of Sydney powers ahead in yet another environmental area, while we have to rely on the benevolence of Architects & developers as to whether they will include such green features in the high-rise development to come – & there will be a lot of it. The argument that City of Sydney Council has more money does not stand up here, because it is the developer who pays the cost of building the developments. Their planning guidelines promote the environmentally-friendly options. Housing is at a premium & whatever is built is sold. Whether it is mediocre housing or great housing is the question. One Central Park is at the premium end of housing, but there are another 74 green roofs elsewhere in the City of Sydney municipality. They can’t all be premium. This is a screen shot directly from the ABC News article – link above – with thanks. 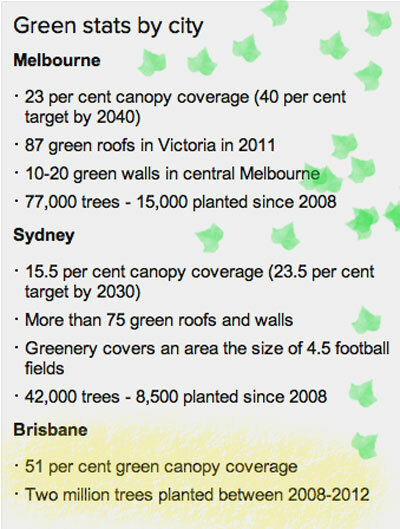 Note what is happening in Brisbane with 51% canopy & 2-million trees planted over a 4-year period. Very impressive. 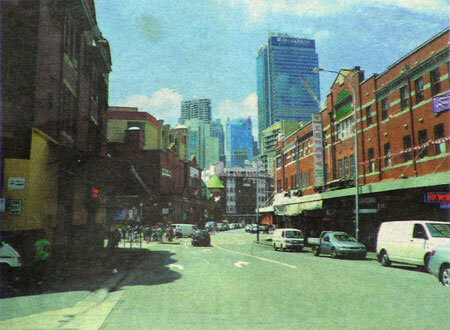 I recently read an article on Sydney Council’s plan to change Thomas Street in China Town into a new green public art space. 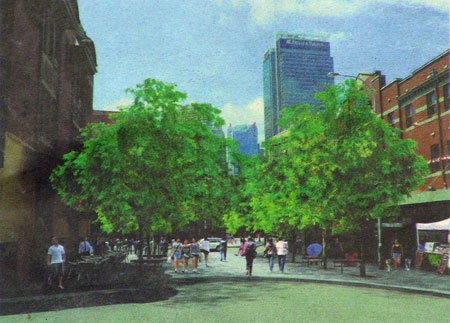 The Council plans to close off Thomas Street to traffic & plant gardens & a number of tall-growing trees. Sydney Council says they want Thomas Street to be an area of “reflection & contemplation.” It will be called the New Century Garden & will house permanent sculptures, as well as temporary sculptural exhibitions. Last summer I went to China Town for the first time in at least a decade & was shocked to see 3-storey high Hills Figs growing the length of the main street of China Town. It was a very hot day & the place was cool & shaded. It was also quite beautiful. 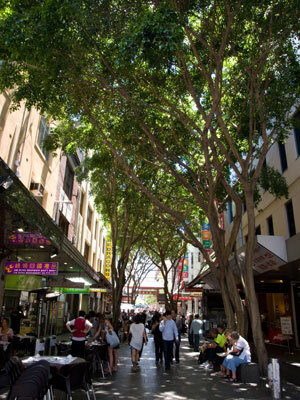 What Sydney Council plans for Thomas Street is just one of the many plans they have for China Town & almost all involve the planting of tall shady trees. As I said in a recent post, not everything Sydney Council does or plans to do can be attributed to their financial ability. What is really important is that they have an attitude that is pro public trees, pro green spaces & pro green verges. They also intend to increase their urban forest by 50% in both the CBD & in their suburbs by 2030.